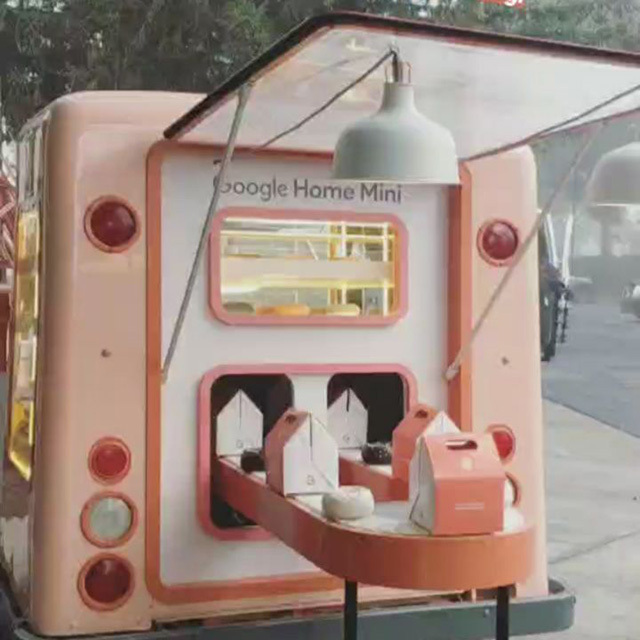 Here are some photos and a video of a Google Home Mini donut truck but the back of it. It has a conveyor belt in the back that serves the donuts. Here is a video of it in action. Pretty cool. It was posted on Instagram.